Start Creating Original Music in Minutes! 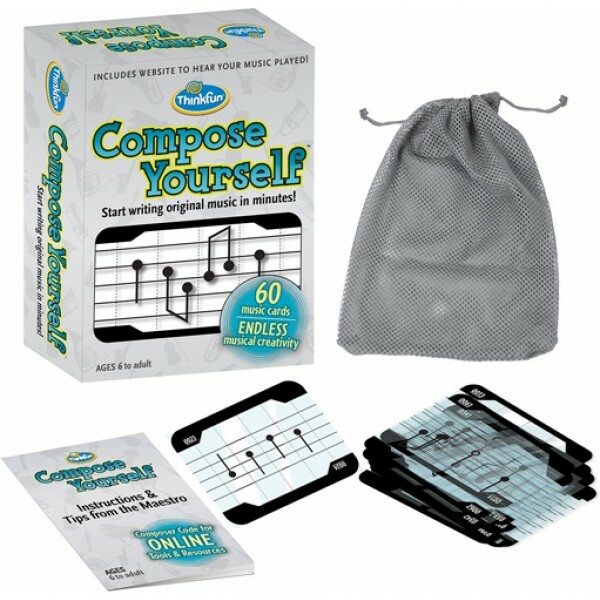 Invented by world-famous composer and cellist, Philip Sheppard, Compose Yourself combines a set of music cards with an exclusive website to allow you to create, play and share your own world-class composition. 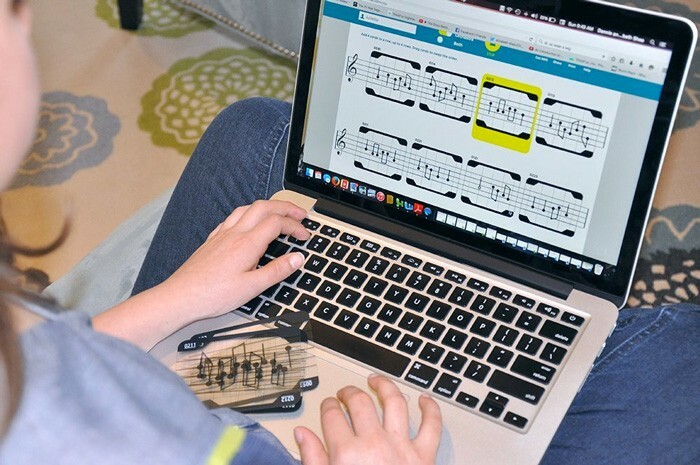 The 60 transparent music cards, each containing a series of notes, are like building blocks for music, and can be arranged to form over a billion musical combinations. Simply select and arrange several of the cards, then register online to hear your melody played by virtuoso percussionist Evelyn Glennie accompanied by a full symphony orchestra. The website will allow you to flip, rotate and swap cards so that you can change your melody until you love what you hear. When you're done, download an mp3, print music and share with your friends and social networks. 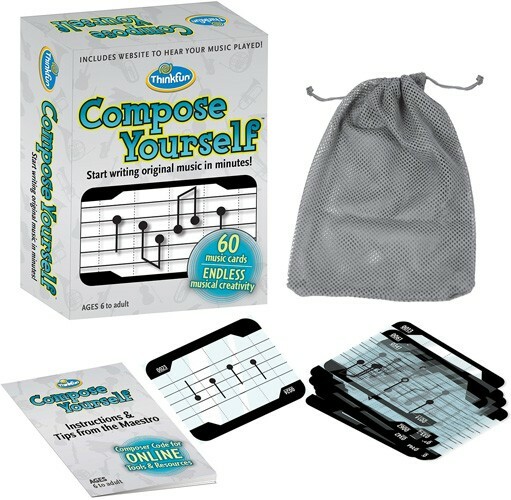 Compose Yourself stimulates and connects the right and left brain, building new thinking skills and encouraging creativity, self-expression and a passion for music. As Philip Sheppard has said, "We all talk about playing music, but it's even more fun to play with music!"